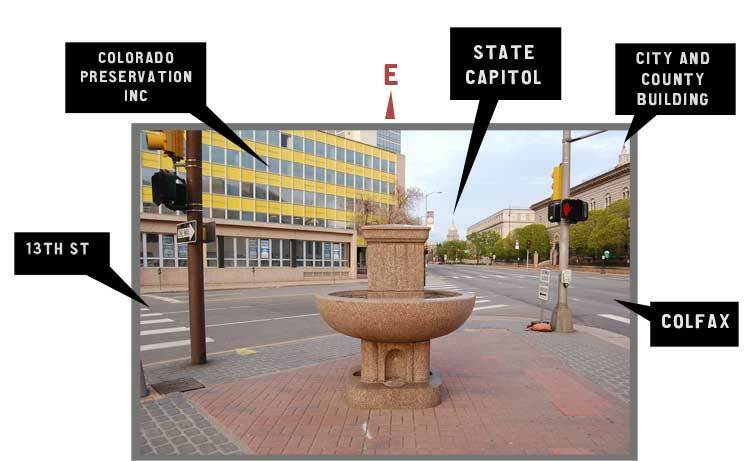 The Denver Office of Cultural Affairs has cleaned, repaired the trough and landscaped around the fountain and will be recasting the lions head spigots that were originally on the fountain. 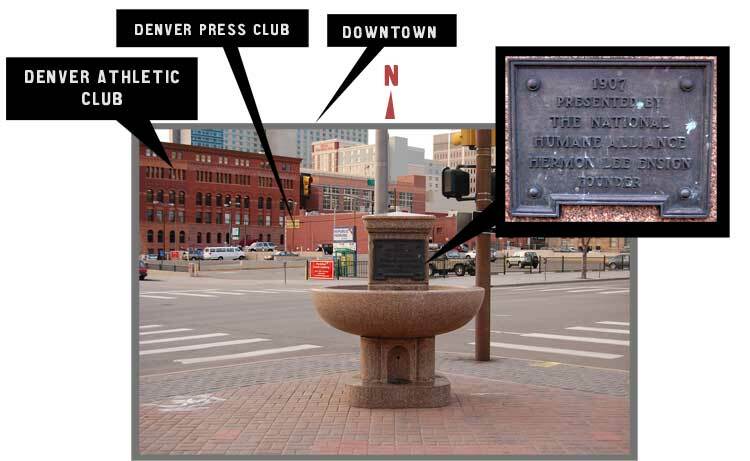 The Denver Office of Cultural Affairs would have loved to make the through functional again, but it was not feasible at this time. 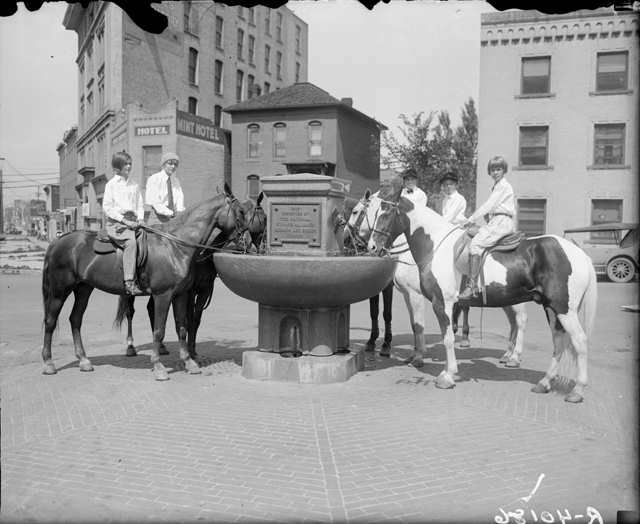 Why have you not posted Enid Oklahoma’s fountain??? 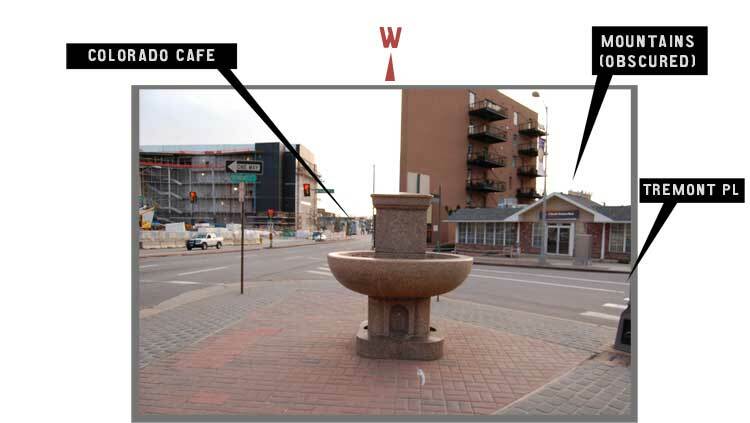 We have a model of that fountain as well,located on Grand. it works perfectly well,too…it just has a huge chunk out of the bowl because an automobile crashed into it in its early years. 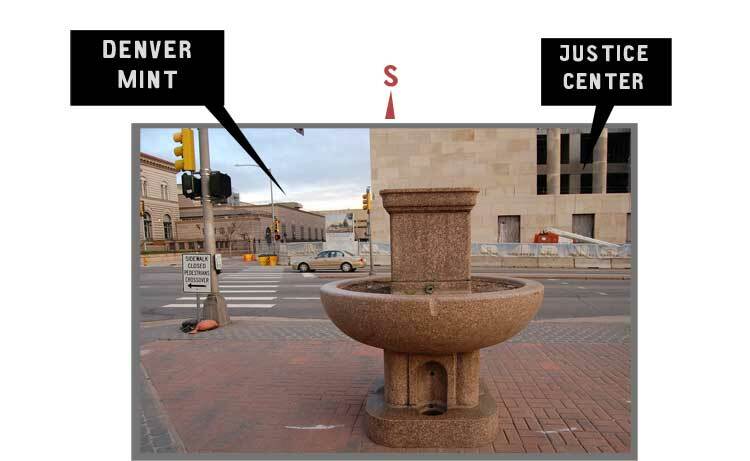 odd… i noticed on the above photos that those fountains, compared to ours, look exactly the same spare for the fact that those fountains, on a closer look, do not have the lion heads on the upper part on the other three sides aside from the plaque’s side. these lion heads have spouts within their mouths from which the water comes out into the bowl…is this a recent addition, original ‘art’, or what? maybe a special model? please answer this question with an answer as soon as possible!